We have many flavours in our STANDARD range all of which are FREE of Genetically Modified Ingredients and are produced for us under license in the UK. They are also Fat FREE, Lactose FREE, Ground Nut FREE and Cholesterol FREE. 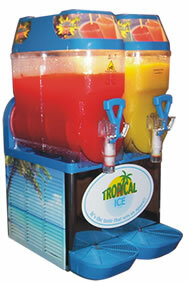 Our eye-catching counter top FREE ON LOAN slush machines come with a very profitable package. Full training is given to all your staff, although our machines are simple to operate. No special wiring or plumbing is required, just a 13amp standard plug socket. The complete package is guaranteed from production to supply. A regular call from your local representative for stock and service ensures your complete peace of mind. If you require an exciting drink with a great taste, smell and to be enjoyed by young and old alike, at a very competitive price, then Tropical Ice is the one for you. Although our standard slush is only made using approved high quality ingredients, we have now taken slush to the next generation. Our range of 'CRYSTAL' syrups are ideal for schools, leisure centres, kids play areas and all places where the healthier option is required. The 'CRYSTAL' range is made with 100% Natural Fruit Juice and only the finest healthy ingredients are used. These syrups have 100% fruit juice content after a dilution of 6-1, so a small 7oz portion is the equivalent to one of the five daily recommended portions of fruit or veg. Our Thickshake machine has been designed to give a thick and creamy tasting thick shake which is available is three fantastic flavours. 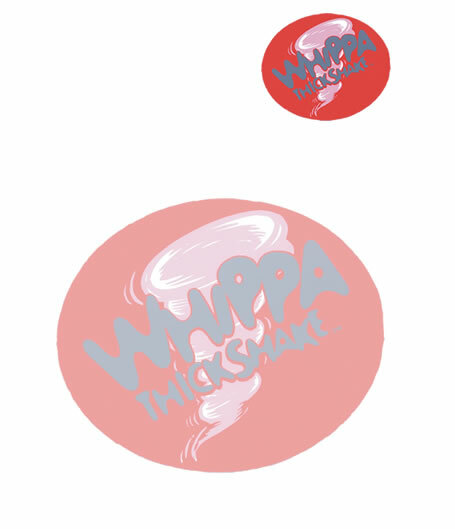 The unique 'WHIPPA' chamber and our mix helps create the best tasting thick shake you have ever tasted. The 'WHIPPA' machine gives a massive 45% overrun giving you a tremendous profit making margin. We have a great POS package to maximise sales. The 'WHIPPA' mix is a VAT FREE product and contains less than 3% FAT. If space is a problem, don't worry, because we now have a professional blender that can make great tasting thick shakes, smoothies and iced coffees.